Ultimate Chocolate Pound Cake with Peppermint Ganache Glaze – The most decadent, moist and delicious chocolate cake EVER! 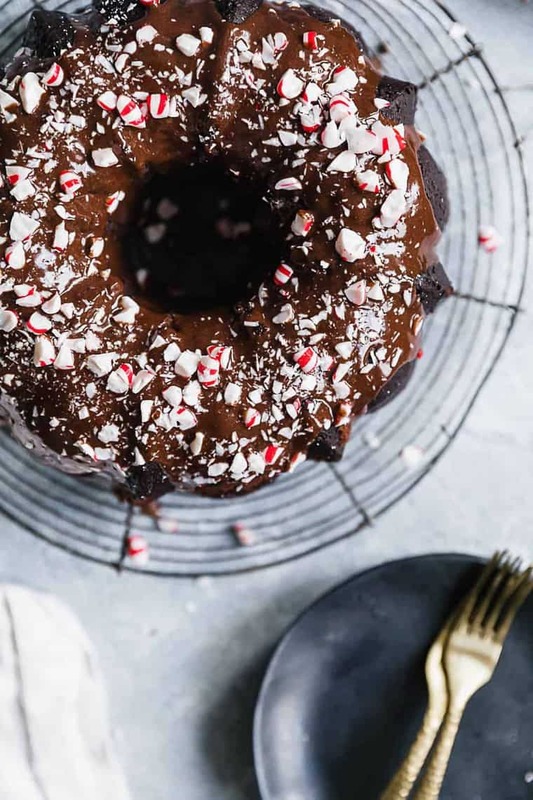 It’s paired with a silky ganache glaze with a hint of peppermint flavor! 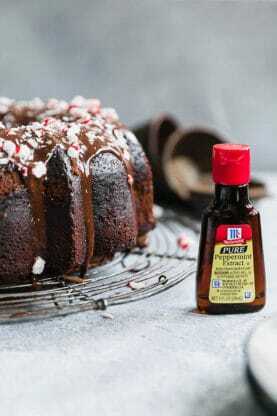 Disclosure: I partnered with McCormick for this Ultimate Chocolate Pound Cake with Peppermint Ganache Glaze recipe post, but all opinions expressed here are my own. I am grateful for authentic partnerships like this. Decadent, rich and oh so heavenly, I love indulging in all things chocolate during the holiday season. 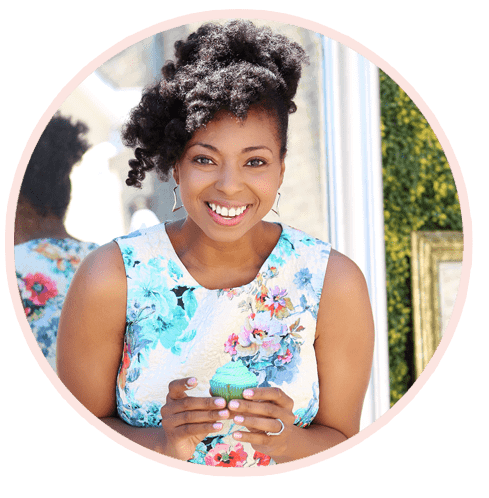 If there is a time to truly relish in all things sweet, it’s definitely right now. Growing up, I couldn’t wait for the holiday season to begin. I would anxiously await putting up the tree and baking cookies and pound cakes just to leave treats for Santa, specifically chocolate pound cake. The combination of chocolate and mint have been used for desserts for many years. That combination is the inspiration for this recipe. 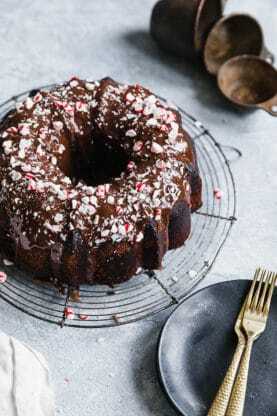 I knew my chocolate pound cake recipe was a hit, but I wanted to add something new to it and give it a holiday twist. I saw candy canes attached to my Christmas tree and envisioned this new Christmas cake. In my family, baking has always been a gesture of love especially during this time of year. 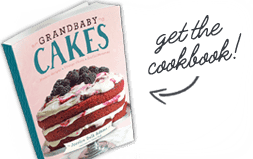 I love getting in the kitchen with my mother and aunt and baking up something special we can give away. However this ultimate chocolate pound cake with peppermint ganache glaze is one that we definitely love to savor ourselves. 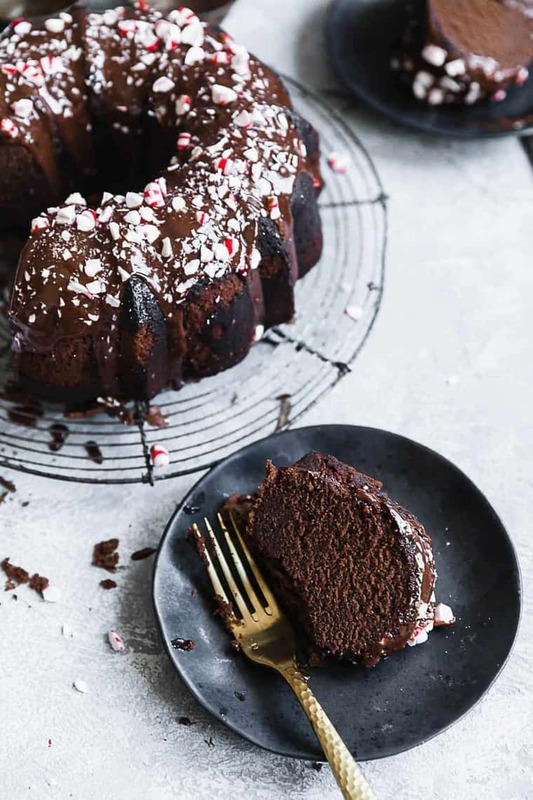 WHY MAKE THIS ULTIMATE CHOCOLATE POUND CAKE WITH PEPPERMINT GANACHE GLAZE? This is truly the ultimate chocolate pound cake. With its layers of mouthwatering flavor in every single bite, you might find yourself humming after each fork full. The moistness is truly something special (not a dry crumb to be found in this chocolate pound cake!). 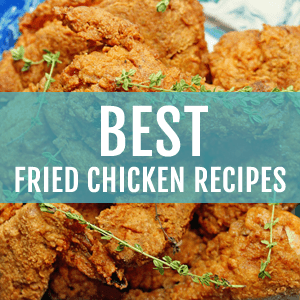 It also gets a wonderful hint of additional flavor from McCormick pure vanilla extract. It shines through in every possible slice balancing all of the exquisite chocolate essence. If you want to just serve this cake on its own, you totally can because it is so perfect on its own. However since it’s the holiday season, a peppermint ganache glaze was totally necessary. It is glossy and perfectly delicious. The addition of McCormick pure peppermint extract is what makes it so glorious. The peppermint essence shines through and pulls at every appetite string. Because of the quality of the flavor, a little goes a long way here so you don’t need to add too much to have a major impact on taste. 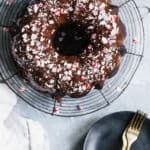 This peppermint ganache glaze is truly remarkable. 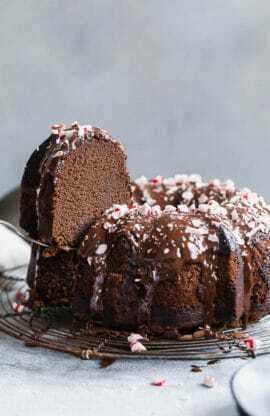 Ultimate Chocolate Pound Cake with Peppermint Ganache Glaze - The most decadent, moist and delicious chocolate cake EVER! 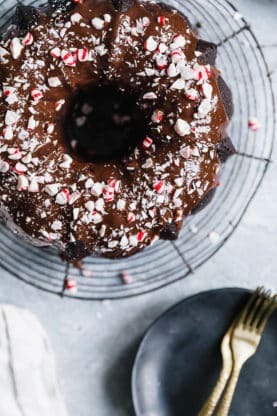 It's paired with a silky ganache glaze with a hint of peppermint flavor! In the bowl of your stand mixer fitted with the whisk attachment, beat the butter for 2 minutes on high speed. Slowly add the granulated sugar. Cream together for an additional 5 minutes, until very pale yellow and fluffy. Add the eggs 1 at a time, combining well after each addition and scraping down the sides and bottom of the bowl as needed. Turn your mixer down to its lowest speed and slowly add the flour in 2 batches. Be careful not to overbeat. Add the cocoa powder, coffee powder, baking powder, and salt. Lastly, add the melted chocolate, buttermilk, and vanilla extract. Make sure the chocolate cools slightly so as to not curdle the buttermilk. Scrape down the sides and bottom of the bowl and mix the batter until just combined. Be careful to not overmix. 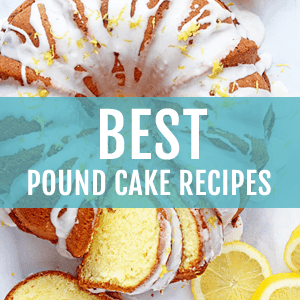 Pour the batter into the prepared pan and bake for 70 to 80 minutes, or until a toothpick inserted into the center of the cake comes out clean. Check frequently to ensure you do not overbake this cake. In a small saucepan, add heavy cream and corn syrup and heat over medium heat until hot. Remove from heat then stir in chocolate. Continue to whisk until smooth then add in peppermint extract and allow to cool and thicken. Drizzle over cooled cake and let set. Garnish with crushed peppermint candy and serve. I personally prefer it because it adds more air to the batter but no need to use it if you would prefer another attachment. How important is the coffee? We don’t drink coffee and I rather not buy a whole container of instant coffee for a 1/2 teaspoon if I don’t have to. If you wanted to make these in the mini bundt cake version, what would the bake time be? I would start looking around 15-18 minutes to check on how they are baking. Hi, is espresso powder the same as instant coffee powder? Must I have instant coffee powder? You can definitely use espresso powder instead. Why heat the oven to 275 after removing the cake? Hi Mary, thanks for bringing that to my attention. Apparently that was an error. It was removed. Sorry, I meant to say step 5. Loving the peppermint on top! What gorgeous photos of a lovely cake! I’d love a slice (or two)! You definitely need two slices! 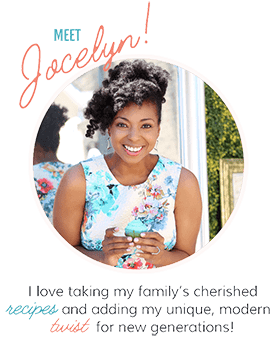 I love that you used the peppermint extract and crushed candy. Perfect! Peppermint ganache glaze is absolutely necessary! This cake is drool-worthy! We are true chocoholics in this house so this is our dream cake! There may be some fighting over the last piece!! YAS indeed! And it is worth the fight!